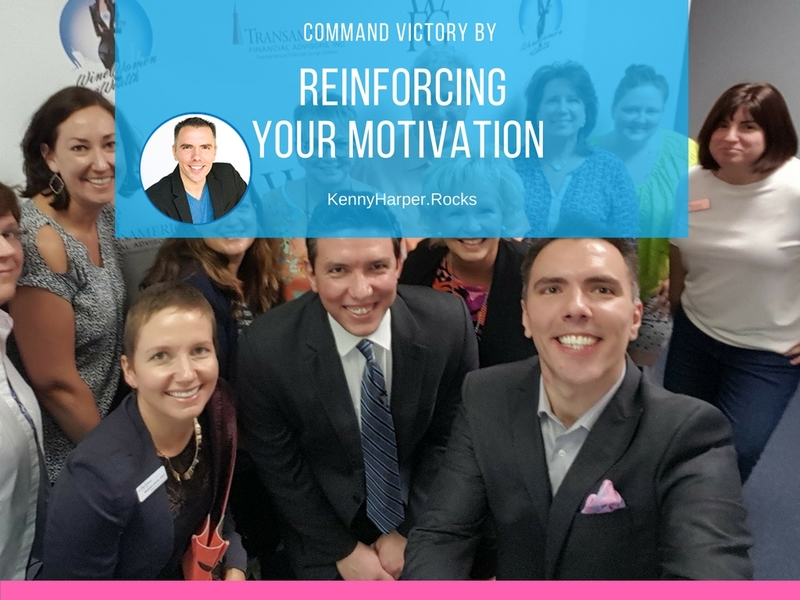 Command the victory of achieving your vision and reaching your dreams by reinforcing your motivation and tapping into your passion. It is often easy to dream big and think of lofty goals but it’s usually harder to actually achieve them. One main reason people don’t achieve their goals or life vision is because they give up. There may be other factors that are situational or based on time but very commonly people simply just lose the will, drive and motivation to overcome the obstacles in their way to reach their desired destination. We can help increase our odds of making progress and traction by consistently fueling our motivation and passion to proceed. But before we can do that we must identify a the true reasons of why we want to do something in the first place. As mentioned when discussing creating a BOLD Vision, sometimes people will create goals simply because they feel obligated to because of our culture, families, colleagues or other reasons. Goals created for reasons other than what really interests and excites us are challenged from the start; they aren’t created for the right reasons. Most people who are aiming to achieve big accomplishments know WHAT they are trying to achieve but don’t always take the time and energy to really think about and evaluate the WHY they are trying to achieve that goal. Commonly people will state they are working on completing an effort for the money. We all know however that money alone can not buy happiness. So what are the real reasons people work so hard? Tony Robbins shares his take on the 6 reasons why people do what they do. Take time to reflect why you are taking the actions you’re taking. Are you truly passionate and committed to it OR are you doing it for the wrong reasons? Once you know the true reasons why you’re doing what you are doing, you’re going to have much better chances of success, reaching your actual vision, but adding some more fuel to the fire can always help. Read articles, books and magazines that share inspiring stories. Watch videos, movies and TV shows that offer ideas of motivation. Listen to music that draws out your positive energy. Connect with others – Connect with others who share common ground in group meetings, organizations, online forums or chat rooms. There are millions of people in the world and it will help to find and communicate with others who share your values and challenges. Visualize & Seed – Visualize yourself achieving the things you are aiming to achieve and plant the “seeds” in your mind to feel the emotions that you would if you did achieve your vision. Read & consume more knowledge – If you know more and continue to hone your skills you will become more and more likely to reach what you’re aiming for, so never stop growing intellectually. Think & communicate positively – Having a positive, “can do” attitude is critical for dialing up motivation. If you tend to focus on things not working out, and not achieving your goals, that will not motivate you. Acknowledge your Progress – Take the time to look back at your successes, all of the things you’ve been able to achieve and accomplish. Also consider the things you made happen even if they didn’t work out in the end and what you learned from those experiences. Give yourself credit for accomplishments big and small. Acknowledge progress you’ve made towards your goals thus far. Believe – Believe and have faith that you can achieve your vision with commitment and continual effort. If you don’t believe you can do it, that frame of mind is not very motivating. What are ways that you motivate yourself to move forward when you’re challenged?